All sports can play a major role in a child’s life. Sports like baseball, basketball, football, and soccer, offer a great way for kids to learn hand-eye coordination, develop friendships and teamwork, and how to take direction. When your child wears glasses or contacts, you may be unsure as to if they can play sports or how you should go about protecting their eyes. 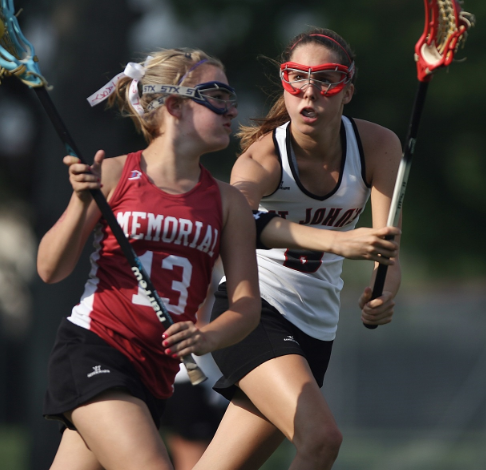 When it comes to eye safety and sports, you have two options: goggles and contacts. Learning more about both will help you to determine which option will work best for your child. While most sports are not considered ‘contact sports’, children can hurt themselves when wearing glasses. Football is considered a contact sport and glasses should not to be worn. The glasses can easily be broken and damage the eyes as well as the face. Parents should consider providing contacts or goggles when a child is playing football or other sports were physical contact might take place such as soccer or basketball. Contacts and goggles can both work when it comes to your child’s sight and sports. With contacts, your child has an alternative for their glasses that is placed on the service of the eye. Unless your child is hit in the eye, they should be safe from harm in that respect. With goggles, the eyes are protected with an outer shell. Most kids will probably be more comfortable trying to wear contacts instead of goggles. Goggles can be tight fitting and uncomfortable for the child when trying to see long distances or while running. The best option is to consult an ophthalmologist or your pediatrician on the precautions which should be taken with your child’s eyesight when they are playing a sport. The doctor will be able to recommend an option that will work best for your child, even trying contacts to see if your child can put them in, take them out and feel comfortable wearing them. By consulting with an eye doctor, you can feel better about the decision you make regarding your child’s eyesight and your child when playing sports. Try varying options to find the best solution for your child to be able to see while playing a sport they love.